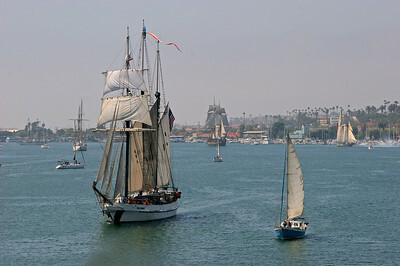 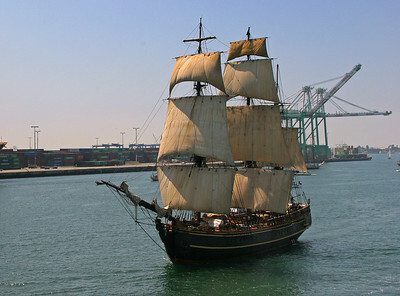 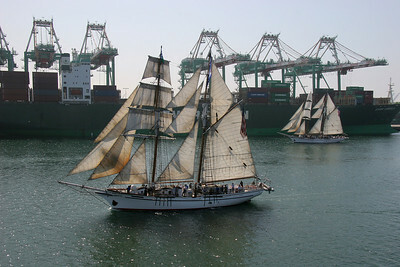 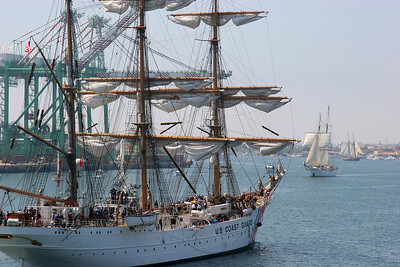 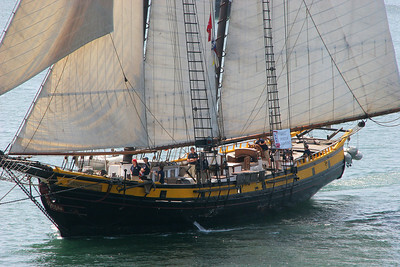 A small parade of "Tall Ships" in Los Angeles harbor in August, 2008. 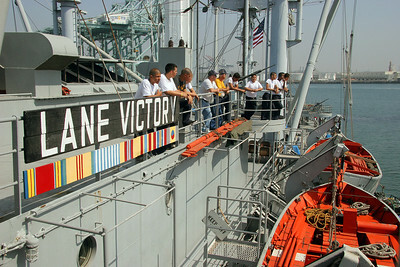 My viewpoint was from the USS Lane Victory, a WWII cargo ship which is now a museum in San Pedro, California. 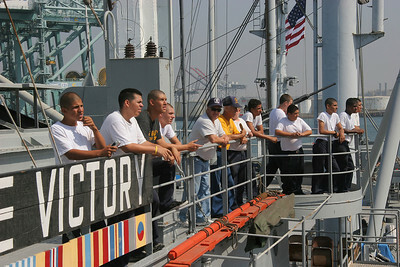 The Lane Victory's crew are mostly Sea Cadets, I think. 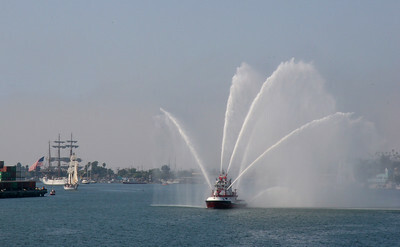 The parade starts with the traditional fireboat at the head of the procession. 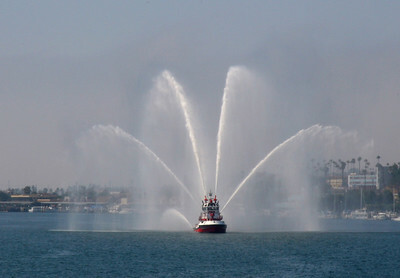 The day was very hazy, so it took some PhotoShop work to get something out of these photos. 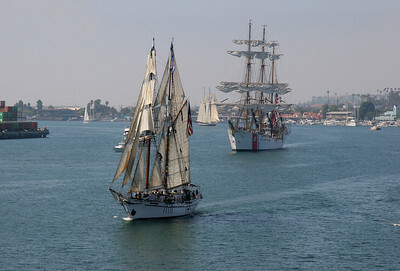 I don't know the names of many of the smaller ships. 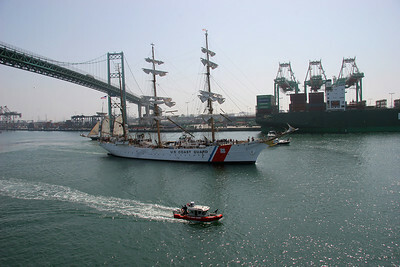 The Coast Guard Barque Eagle (2nd ship) was the largest ship in the sailing parade. 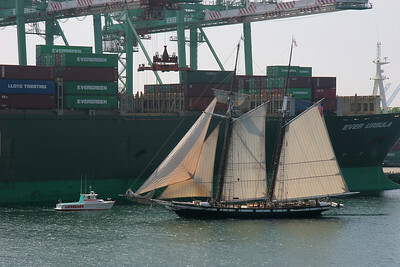 II thought these two sister ships made a pretty pair, with their sails set exactly the same. 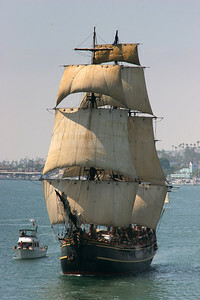 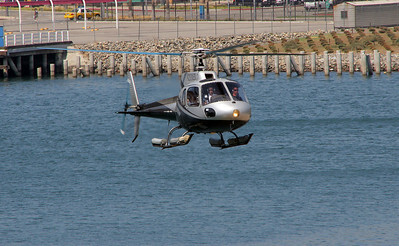 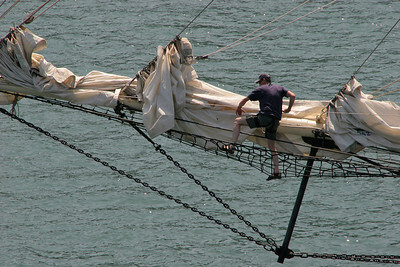 The "Spirit of Dana Point". 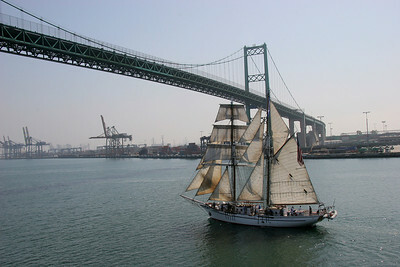 Our viewpoint was right next to the Vincent Thomas Bridge that connects San Pedro with Long Beach. 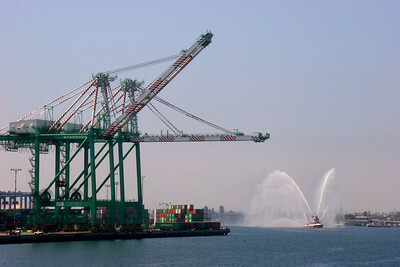 The LA harbor, full of container yards and industrial plants, wasn't the best setting for photos, but did make for some intersting contrasts. 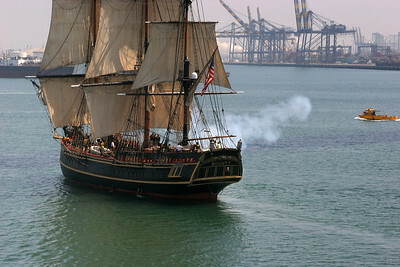 The Eagle was the only ship to come in with her sails down! 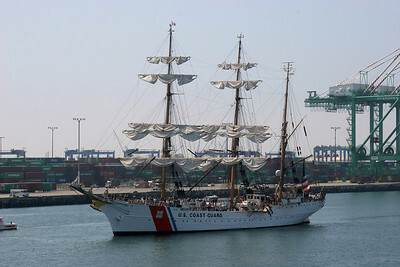 But, she had a fresh crew of "swabs" (freshman cadets) aboard, so it was understandable. 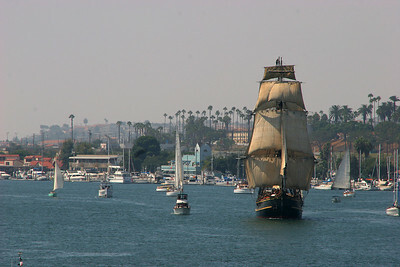 The "Bounty" (of movie fame) comes up the channel. 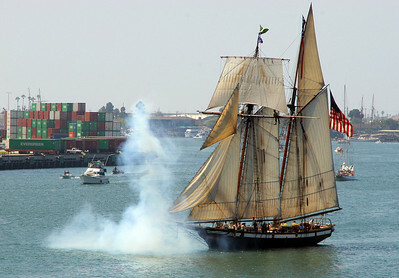 The Bounty make a cannon salute. 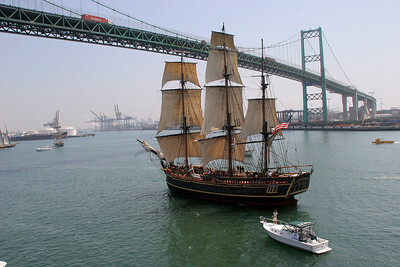 The Bounty under the Vincent Thomas Bridge. 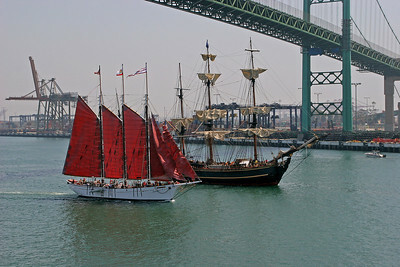 The "American Pride" (red sails) with the Bounty.